I swear this isn’t going to turn into an all-baking-all-the-time blog, although apparently you wouldn’t guess it from this month’s entries. Ah well. Here is our next installment! 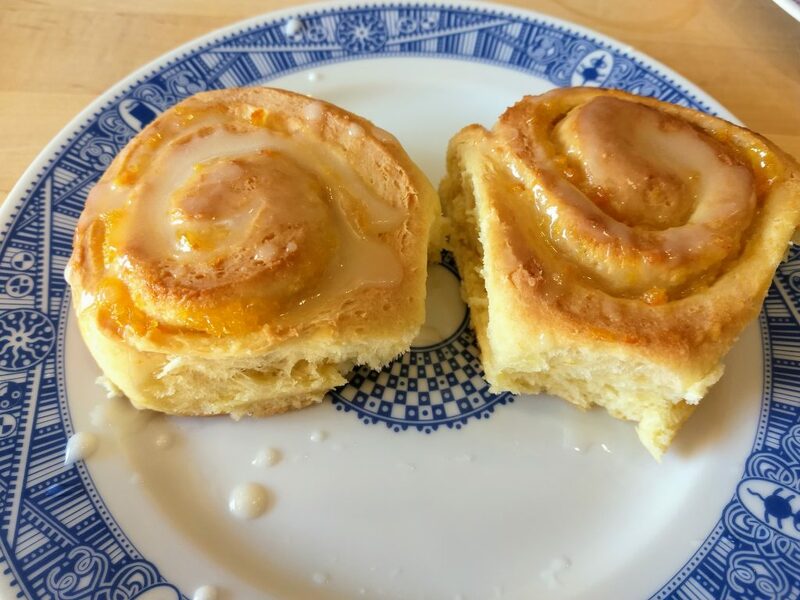 When there are still far too many tangelos in the fridge (from the tangelo tree), and you are pondering what to make for a weekend breakfast, you should make Orange Rolls. They start with a basic sweet yeast dough (I used this one from King Arthur Flour), and as you are mixing it all together, toss in the zest from two tangelos. Then while the dough is proofing, whip up a quick batch of marmalade. You do this by cutting up one tangelo (remove the seeds!) into chunks, then pulse it in a blender, then dump the ensuing glop into a pan with half a cup of sugar and 2 tablespoons of tangelo juice (because you need to use those zested tangelos somehow). Then bring it to a boil and cook, stirring constantly, over medium heat for about 10 to 15 minutes, or until it is thick. Set that aside to cool. 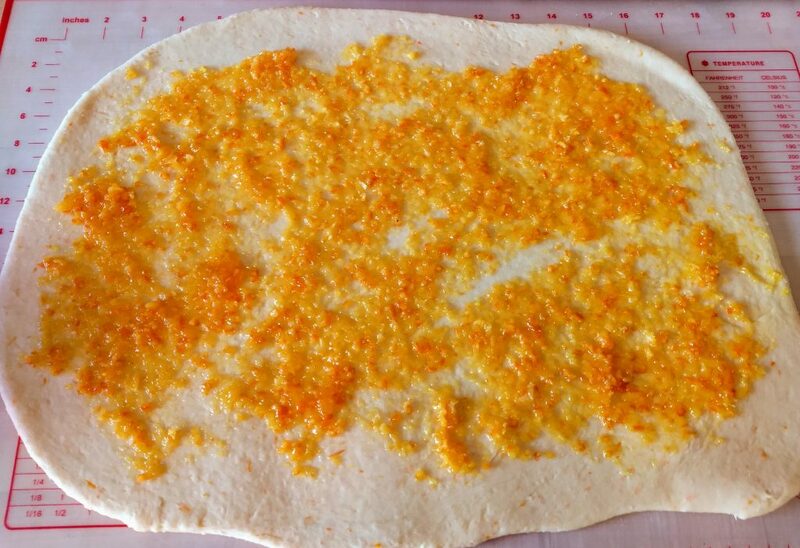 Then you spread the marmalade all over the dough. 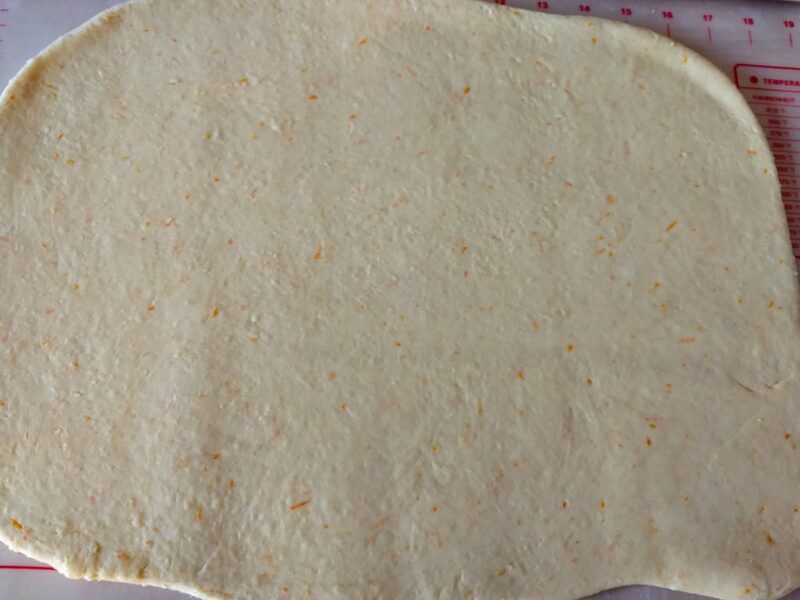 Then you roll it up and slice it into 16 pieces and arrange them in two round pans. Don’t they look pretty with the marmalade peeking out? Then those rise for a while, and then get baked until they are just turning golden brown. And finally, while still warm, you drizzle them with icing made from powdered sugar and tangelo juice, and then devour. These are delicious. I admit I was skeptical about the marmalade, because I am not a fan – I usually find it too bitter. But it works wonderfully in these. 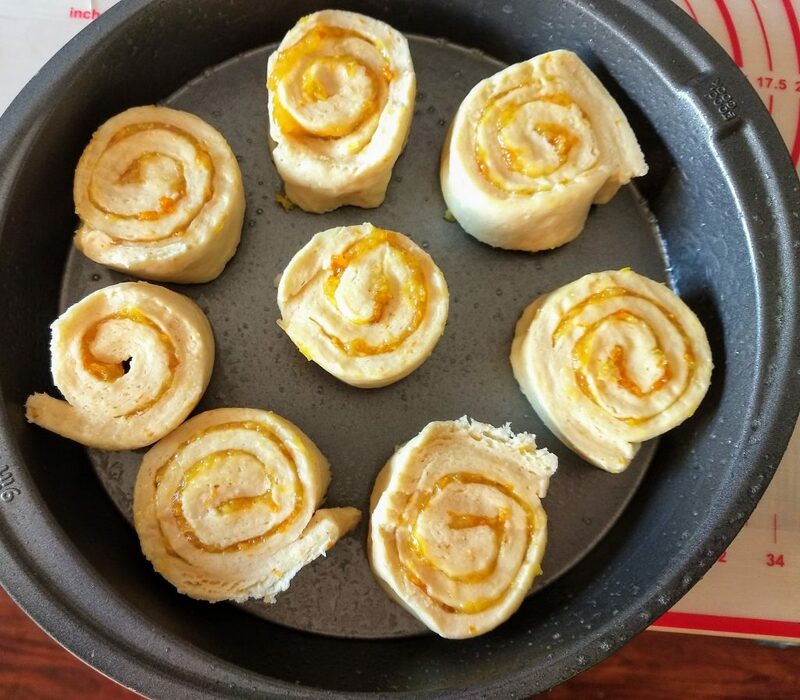 There is a slight bitter note from the marmalade, but it is counteracted quite nicely by the sweetness from the dough and the icing. Considering how prolific that tangelo tree is getting, I will definitely be making these again. Yum. Tis the season for Holidailies. Those look fabulous! I love to bake so I may have to try these. They are definitely worth it!